At last, some good news on the house price front! House prices finally turned the corner in April, after 10 consecutive months of decline. The Federal Housing Finance Agency (FHFA) reported a 0.8% increase in their monthly purchase-only house price index (HPI) in April, up to a seasonally adjusted level of 182.4. This signals an end to an extended period of decline in which the index has fallen 5.7% over the past year and 19.3% below its April 2007 peak. 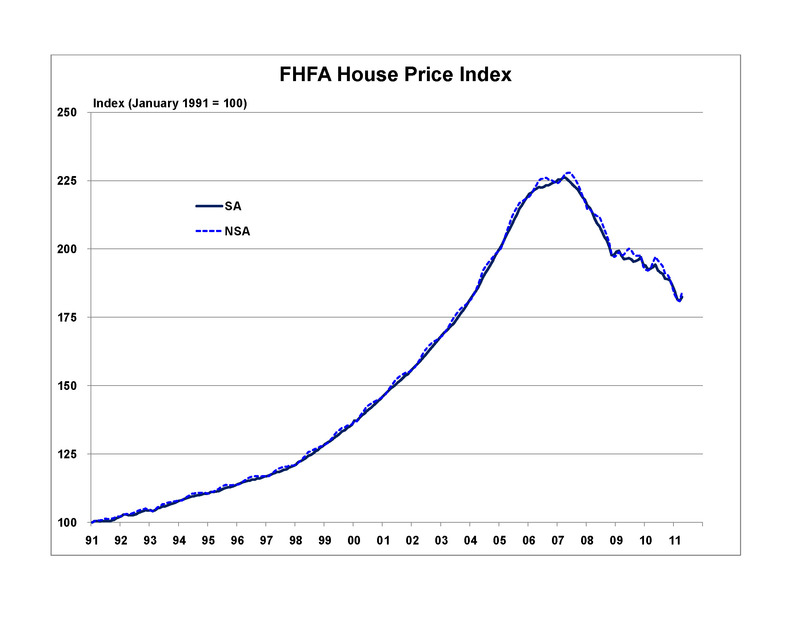 The FHFA HPI release includes the monthly price changes for the nine census divisions. An increase in the HPI was observed in six divisions, with the strongest rise observed in the New England (+2.2%) (dominated by Massachusetts), followed by the West South Central (+2.1%) (dominated by Texas) and East South Central (+1.8%). House prices continued to decline in the Mountain (-1.3%) (Arizona, Nevada), West North Central (-0.6%) (Michigan, Illinois, Ohio) and South Atlantic (-0.2%) (dominated by Florida) divisions. It may be a little early to be popping the champagne corks, as one month does not make a trend. We do not anticipate any further significant declines in house prices, but some minor month-to-month fluctuations are likely. Stable house prices over the remainder of 2011 should help to restore consumer confidence and bolster housing demand. By 2012, we expect house prices will trend higher and usher in a housing market recovery that will likely run for several years.